I started off on a one-row melodeon in the key of C and I still play one, albeit rather better quality than the first beat-up old box. 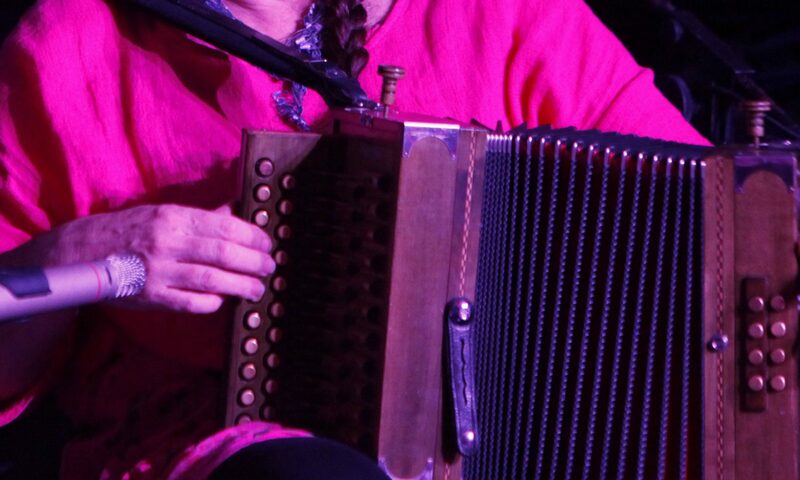 I also play two-row diatonic accordion (D/G and occasionally C/F) and have recently been challenging myself with the C#D system for Sliabh Luachra music. C one-row – custom made for me by Eric Martin of Rennes, Brittany, in 1991. C one-row – an old ‘Manifold’ refurbished by Emmanuel Pariselle, with new tipo a mani reeds, buttons and pallets. C one-row – a good old Hohner HA114. Trusty workhorse, it’s been round the block but is still a lovely responsive instrument. D one-row – an old ‘Winner’ rebuilt by Emmanuel Pariselle. Gorgeous action and sound after the maestro Manu took it into his head to refurbish it for me. A little gem. D/G two row – made by Eric Martin in 1993. ‘The Green ‘Un’ – bought in 2009 off my friend Fiona Frank to whom I am eternally gratefully for giving me the opportunity to own this heart-stopping music maker. I played one note and fell in love. 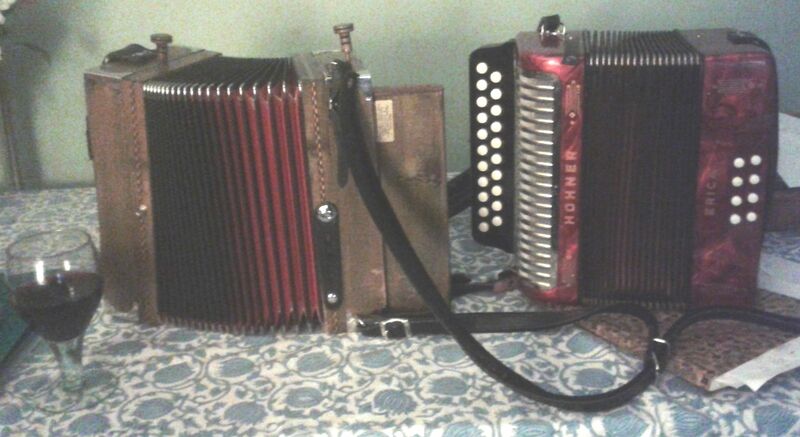 D/G two-and-a-half row – a Hohner Club IIM. Such a nice instrument that I bought it twice! I sold it when I needed the money and then bought it back off Diane Richardson just as she needed to sell it. C/F two row – a Hohner ‘pokerwork’ – although someone has removed the pretty black and gold finish. Sweet instrument but I don’t play it much and so haven’t had it fettled to really make the most of it. C#D two row – Alessandrini – my newest acquisition, an upgrade from my first C#D bought a couple of years ago after Jackie Daly suggested I should try one. He was right. It’s a challenge to the brain cells and motor coordination, but that’s no bad thing. 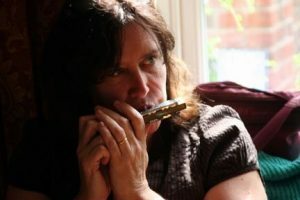 I also play mouthorgan and have a range of 32 hole tremelo harmonicas in various keys, which are nearly all Tombo Deluxe 21 models apart from a low Suzuki Humming model in D.